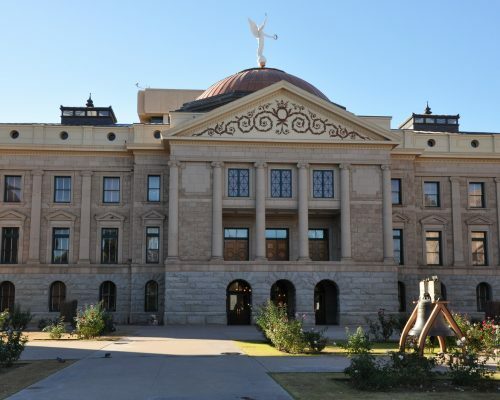 The newly-established leadership team from the Arizona Department of Administration (ADOA) generated sincere praise from a difficult source last week: the state legislature. A joint hearing of House and Senate officials convened to evaluate the department and provide a recommendation on whether the agency should be continued in state statute. For more than an hour, the committee heard testimony from the Auditor General and the ADOA leaders in a forum that highlighted the skill of the new leaders, and their vision for improvement of their important agency. Here’s a look at some of the key takeaways from this gathering. ADOA Director Craig Brown, who was recently appointed to the new role, clearly articulated the areas and methods for improvement within his agency. “Our goal is to become the partner of choice,” he summarized, emphasizing the need to operate efficiently and provide successful examples so state agencies will seek partnerships rather than being forced into them. Legislators’ questions centered on areas of efficiency and improved IT resources. Director Brown and Morgan Reed, the new state CIO that I recently interviewed, both drew praise from bipartisan members of the legislative committee for their vision and quick action to improve ADOA. The Arizona State Purchasing Cooperative should take steps to evaluate the program’s costs and better align the fee assessed with the program’s actual costs. ADOA leaders described the steps they are taking to implement all provisions of this recommendation, beginning with a detailed analysis of the program costs that showed the one percent fee could be reduced to three-quarters percent in order to better align the income with the expenses of the program. ADOA should strengthen its procurement strategic plan by assessing the procurement system, developing action steps, creating a procurement manual and developing and monitoring performance measures. ADOA is in the process of developing a manual. ADOA is developing a set of initiatives to better serve state agency IT needs, including building a "sustainable platform" and "working on [IT] partnerships." While some state agencies have historically experienced difficulty obtaining recommended continuations for more than five years, the committee unanimously endorsed an eight-year continuation of ADOA. The recommended extension will be considered by the full legislature in the 2016 legislative session in January.